For Paul Natoli, President and CEO of Joseph A. Natoli Construction Corp., May 18, 2009, was a very good day. 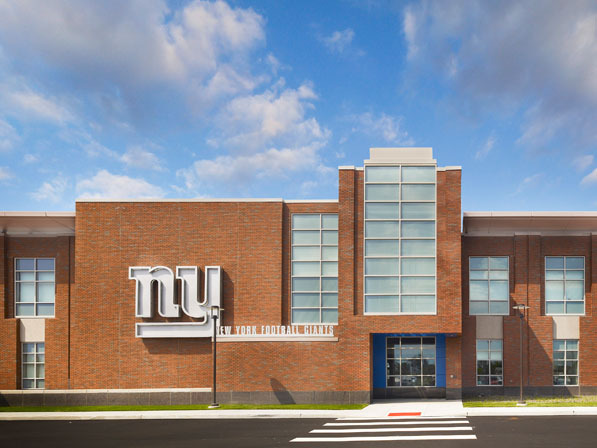 It was the date the New Jersey general contracting firm completed work on the $75 million TIMEX Performance Center, the new headquarters and training facility for the New York Giants. The construction project was daunting and not without obstacles, but Joseph A. Natoli Construction tackled it the same way it does all its work—with versatile capabilities and a focus on its relationships with subcontractors. That hasn’t been a problem for Joseph A. Natoli Construction, a firm that continues to win bids from the New York Giants both for its impressive capabilities and its established history with the renowned sports organization. “From 1976 until 2009, the New York Giants’ offices were located inside Giants stadium,” Natoli says. “We had already done a number of successful renovation projects inside the old stadium, and every project we’d done for them came in on time. As a result of that, and a competitive bid, when Giants stadium was demolished to make room for the new MetLife Stadium and the Giants team needed a home, we were awarded the project.” The firm won the bid for the nearby TIMEX Performance Center in much the same way. Joseph A. Natoli Construction began work on the new training facility in September 2007. Included in the project, sited just west of the new stadium on the Meadowlands campus, were weight-training, medical, and dining facilities; locker and shower rooms; a full theatre; a 105,000-square-foot indoor practice facility with a 90-foot ceiling and state-of-the-art synthetic turf; a 5,000-square-foot maintenance building that now houses the team’s equipment; and a 100,000-square-foot headquarters building that houses administrative and marketing offices. Natoli’s firm also constructed three full-size grass fields and one 60-yard synthetic-turf field outside. “The Giants like to practice on grass, obviously,” Natoli says. Natoli didn’t have long to rest on his laurels after completing the headquarters and training facility. Joseph A. Natoli Construction—which Natoli’s father founded in 1975—is one of the New York metropolitan area’s largest and most reputable contractors, and Natoli had more work on the books, including the construction of a $20 million dining facility on the Livingston campus of Rutgers University in Piscataway, New Jersey. Completed in June 2011, the 64,000-square-foot facility includes two commercial kitchens—with $5 million of equipmen—and two dining areas, one for students and one for faculty and administrators. On nearby Liberty Island, the firm is still completing a $27.2 million restoration of the Statue of Liberty, another job for the National Park Service. The project, scheduled for completion in the fall of 2012, involves work inside the 150-foot-tall granite pedestal on which the statue rests. “We’re gutting the core of the pedestal, removing all elevators and existing stairwells that lead to the top of the pedestal, and replacing them with two new wider stairwells and a series of three new elevators that can take visitors to the shoulder of the statue,” Natoli says. “We’re also building two new stairwells outside the statue on the terraplain—or, plaza—which surrounds the statue.” All of this work is being performed while Liberty Island remains open to the public. Update: Joseph A. Natoli Construction has substantially completed its work on the Statue of Liberty, and the monument was reopened to the public on October 28, 2012, in commemoration of its 126th birthday. Prior to the formal reopening, National Geographic spent significant time at the site, filming for a documentary that will be shown this fall as part of the World Heritage Series. Additionally, many national TV and print media outlets made visits of their own. Outside of that project, which is expected to be fully completed by the end of 2012, the company is working at Rutgers, the State University of New Jersey, building a state-of-the-art dance studio, choral hall, and recording studio. The firm also recently received a multimillion-dollar award to construct a new Troop D State Police Barracks building, which will be located on the New Jersey Garden State Parkway.